The Congress party on Monday released its 11th list of candidates for the upcoming Lok Sabha elections comprising five candidates from Goa, Chhattisgarh and Daman and Diu. 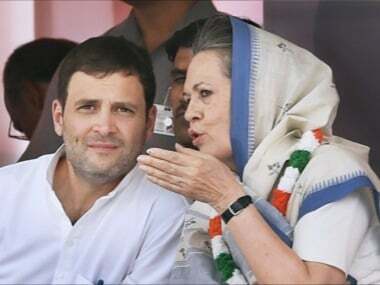 The grand old party, which faces stiff challenge from the ruling BJP, will field president Rahul Gandhi from his bastion Amethi and UPA Sonia Gandhi from Rae Bareli. 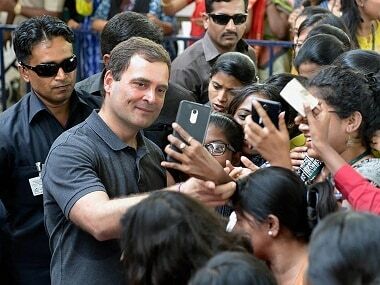 Speculations were also on that Rahul may contest from two seats this time, with the party's Kerala unit hinting he might file nomination from Wayanad too. Congress has named 15 candidates in its first list, 21 in second, 18 in third, 27 in fourth, 56 in fifth, 3 in sixth, 34 in seventh and 38 in the seventh list in the run-up to the general elections. The Lok Sabha elections will be held in seven phases, beginning from 11 April and concluding on 19 May. Assembly elections to Arunachal Pradesh, Odisha, Sikkim and Andhra Pradesh will also be held simultaneously. MK Raghavan is the incumbent MP from the Kozhikode constituency. He has represented the constituency twice — one in 2009 and then in 2014. Having served as the general secretary of the Kerala Pradesh Congress Committee, the 66-year-old is a favourite in the constituency. He has been credited for bringing in funds for various projects. A senior Congress leader, Anwar was the Union MoS for agriculture and food processing between 2012 and 2014. A five time Lok Sabha MP from Katihar, he had joined the Congress in 1972. 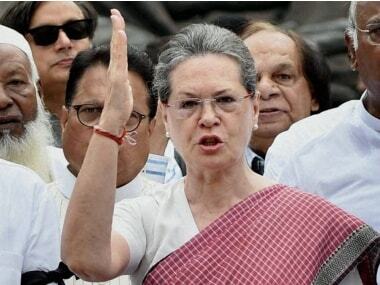 In May 1999, Anwar, along with party members Sharad Pawar and PA Sangma had rebelled against the party's decision to field Sonia Gandhi as the prime ministerial candidate ahead of the general elections and questioned her ability to rule the country in an open letter. Subsequently expelled from the party, the three leaders went on to form the Nationalist Congress Party (NCP). Anwar, however, resigned from NCP in September 2018 and rejoined the Congress in October that year. A former BJP MP from Bihar’s Purnia Lok Sabha seat, Uday joined the Congress in 2019. He has represented Purnia twice in the Lok Sabha. 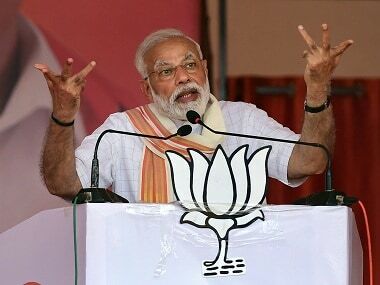 Quitting the saffron party, he had said that he saw Rahul's popularity growing even as Prime Minister Narendra Modi, of whom he has been an ardent supporter, seemed to have withdrawn himself from reality. 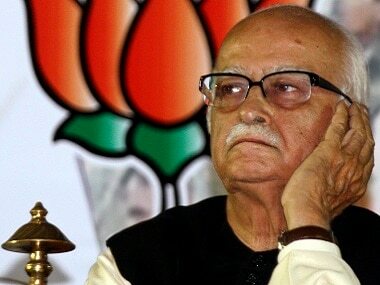 He also said that even as a BJP member he never approved of the slogan “Congress-mukt Bharat”. Singh had lost his seat to JD(U)’s Santosh Kushwaha in 2014 by a margin of more than 1 lakh votes. Actor-turned-politician and rebel BJP MP from Patna Sahib Lok Sabha constituency, Sinha is likely to join the Congress. The speculations come soon after the saffron party dropped him from the list of candidates released last week. Born in Patna, he first won the Lok Sabha seat in 2009 and 2014 as a BJP member. He, however, fell out with the party after the Bihar Assembly election in 2015. Ever since, he has been a strong critic of the BJP on several issues. Devi, who has been trying to get a Congress ticket from Munger, is the wife of don-turned-politician and Mokama MLA Anant Singh. A three-time MLA, Singh was elected twice from Mokama Assembly seat on a JD(U) ticket before differences between him and Chief Minister Nitish Kumar came up. Singh is currently facing 18 criminal cases. Solanki, who recently quit as president of the Gujarat Congress unit, has won the Anand Lok Sabha seat twice in 2004 and 2009, before losing to BJP’s Dilipbhai Patel in 2014. He has served as the Union MoS for power in 2009, railways in 2011 and drinking water and sanitation in 2012. 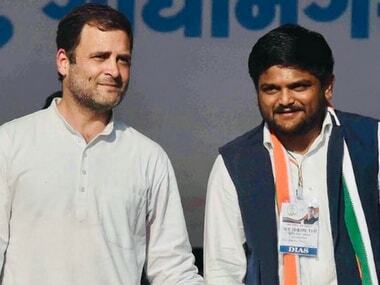 Twenty five-year-old Patel, who joined the Congress on 12 March, rose to prominence in 2015 when he led an agitation by the Patidar community across Gujarat demanding its reservation in the OBC quota. He is the convenor of the Patidar Anamat Andolan Samiti (PAAS) which had led the protests. Patel had also backed the Congress in the Gujarat Assembly election in 2017. Parmar has been chosen to contest from Ahmedabad West, a seat reserved for Scheduled Category. Parmar was a Rajya Sabha member from 1988 to 2006, serving for three terms. He has held several portfolios as Member of Parliament. He has served as member of the National Commission for Schedule Caste under the UPA government. Selja is a four-time Lok Sabha MP (1991, 1996, 2004 and 2009) who has contested general elections from Sirsa and Ambala constituencies. In the UPA-II regime, the Dalit MP served as the Cabinet minister for housing and urban poverty alleviation and culture, tourism and social justice and empowerment. She is currently a Rajya Sabha MP. Her appointment as chairperson of the Congress screening committee for the Rajasthan Assembly elections in 2018 was seen as the Opposition's decision to attract Dalits. The senior Congress leader has served as the chief minister of Himachal Pradesh four times. He was elected to the Lok Sabha in 1962, 1967, 1971, 1980 and 2009. In 2017 Assembly election, he had however lost. He has served as the Union minister for steel and micro, medium and small enterprises during the tenure of Manmohan Singh. Singh resigned from office in 2012 following charges in a graft case. A day before taking oath as the Himachal Pradesh chief minister in 2012, a CBI acquitted him of the corruption charges. The senior Congress leader will be contesting from Nowgong against BJP’s Rupak Sarmah, who comes in place of Union Minister Rajen Gohain. Bordoloi represented Margherita Assembly constituency for four terms between 1998, when he won a by-poll, and 2016, when he finally lost his seat in the state elections. Bordoloi has also served as a minister in the Tarun Gogoi government, handling diverse portfolios. A senior advocate by profession, Kamalnayan Choudhury is likely to be nominated by the Congress to take on BJP’s Queen Ojha in Gauhati. Choudhury is known for his activism against illegal immigrants in Assam. The 55-year-old advocate has also challenged the legality of the Assam Accord in the Supreme Court. The working president of the Karnataka Congress Committee, Khandre will be fighting against BJP’s sitting MP Bhagwant Khuba. Khandre is the sitting MLA from Bhalki, having won the seat thrice in a row since the 2008 elections. He also served as minister in the Siddaramaiah government between 2016 and 2018 handling the portfolios of municipal administration and public enterprises. CH Vijayashankar will be contesting from Mysore for the fifth time in his political career. Vijayashankar, who switched over to the Congress in 2017, won the Mysore Lok Sabha seat in 1998 and 2004 elections. However, in the 1999 elections, he lost to Mysore’s titular Maharaja Shrikanta Wadeyar. A decade later, he lost to Congress candidate AH Vishwanath. Vijayashankar has also served as forest minister in the BJP-led Karnataka government for less than year between 2010 and 2011. The leader of the Congress party in the Lok Sabha will be fighting for his third consecutive term from Gulburga. The former Union minister will take on Umesh Jadhav, who until recently was associated with the Congress party. A seasoned Congressman, Kharge was elected to nine consecutive terms in the state Assembly between 1972 and 2008. Shamnur Shivashankarappa will be contesting against sitting MP and former Union Minister GM Siddeshwara. It is to note that Shivashankarappa is the father-in-law of Siddeshwara. A sitting MLA from Davangere South, Shivashankarappa holds immense influence in the Lingayat community. He is the president of the All India Veerashaiva Mahasabha, an influential organisation of the Lingayat community, which forms 17 percent of the population in Karnataka. 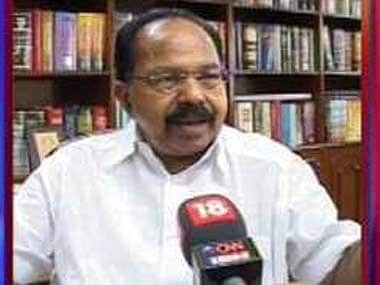 Former Union Minister Veerappa Moily will be seeking re-election from Chikaballapur, which he won in 2014 by a margin just over 9,000 votes. He will once again be taking on Bache Gowda of the BJP. A Congress veteran, Moily was the chief minister of Karnataka between 1992 and 1994. Moily also held the portfolios of law and justice, petroleum and natural gas, corporate affairs, and environment and forests in the Manmohan Singh Cabinet. Goa Congress president Girish Chodankar will be pitted against sitting BJP MP and Union AYUSH Minister Shripad Naik and Aam Aadmi Party's (AAP) Pradeep Padgaonkar in North Goa. Chodankar contested the 2017 by-poll in Panaji against former chief minister Manohar Parrikar but lost. Chodankar came into spotlight in 2013 when Congress president Rahul Gandhi chose him as one of the All India Congress Committee secretaries. James Lowangcha Wanglet has served in the state cabinet of Arunachal Pradesh. Hailing from the royal family of the Iowangs of Namsang-Borduria, Wanglet has been an active student politician before joining electoral politics in the seventies. He is a founding member of the Peoples’ Party of Arunachal and has had stints in several national parties including the Janata Dal and the BJP. In fact in 2014, he contested the state legislative elections on a BJP ticket but has since defected to the Congress.